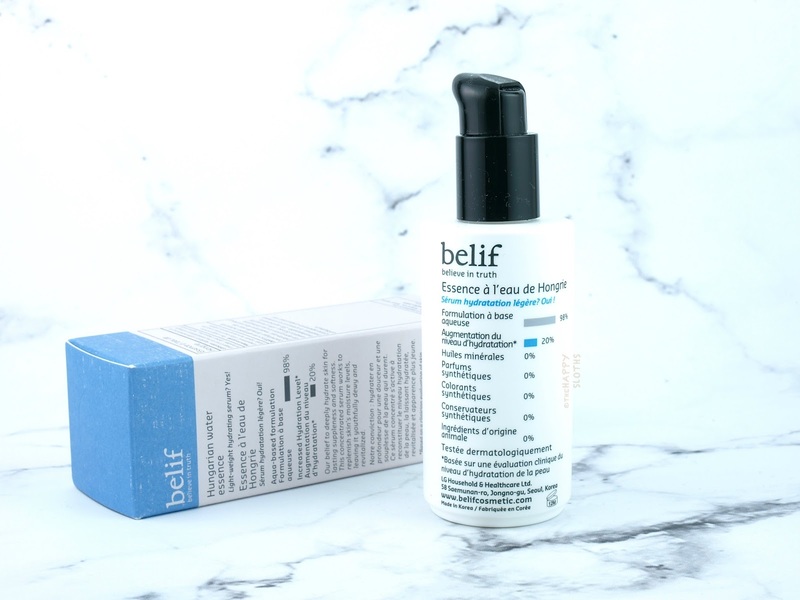 The Hungarian Water Essence from Belif is formulated with a special blend of ten herbal extracts from rosemary to gotu kola. Because it's free of mineral oil, alcohol, petrolatum, synthetic preservatives, dyes, or fragrances, the product is suitable even for those with sensitive skin. Housed in a simple 75ml plastic bottle equipped with a convenient pump dispenser, the essence has a runny and lightweight texture that's just a tad thicker than water. To use, simply spread a couple of pumps across cleansed and toned skin. 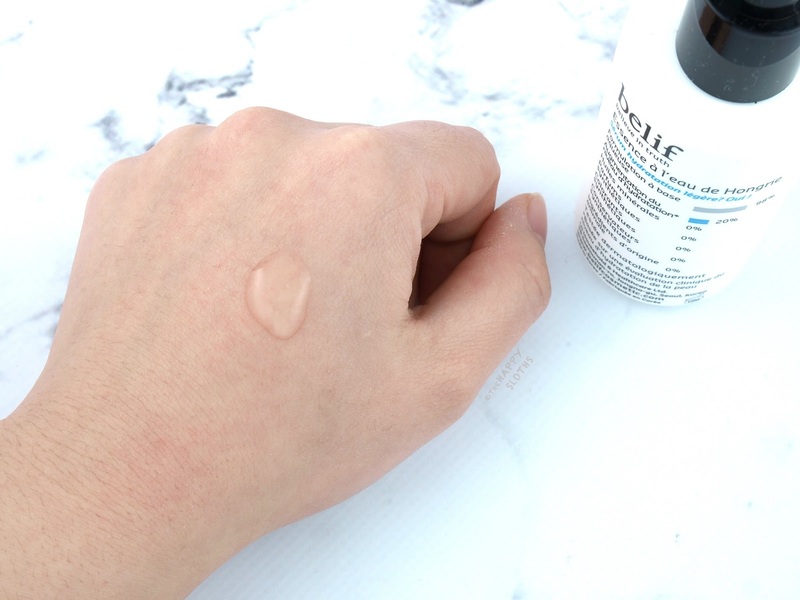 The essence absorbs quickly but it does leave behind a slightly tacky and shiny (but not greasy) finish so you definitely need to follow it up with another face cream (as you should when using an essence). With that said, the essence itself is moisturizing enough for a no-makeup, stay-at-home kind of day if you have oily or combination skin. Overall, this was a great product. I don't think it's a must have for everyone but if you are looking for a bit of extra hydration boost that's also full of antioxidants, this is definitely a quality pick from Belif! 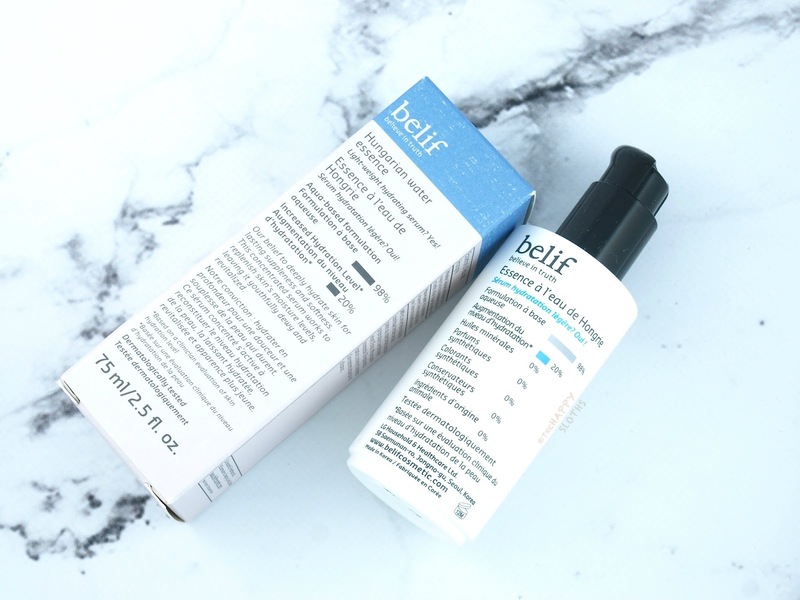 Belif is available at THE FACE SHOP, Nature Collection, and Fruits and Passion stores across Canada. Belif can also be found on Sephora online is the US.